Now the clocks have gone forward and the days are getting sunnier, we will all be spending a lot more time in our gardens! We've put together three jobs that are perfect for this time of year. We'd love to hear what you are up to in the garden this month, share your top tips in the comments box below! 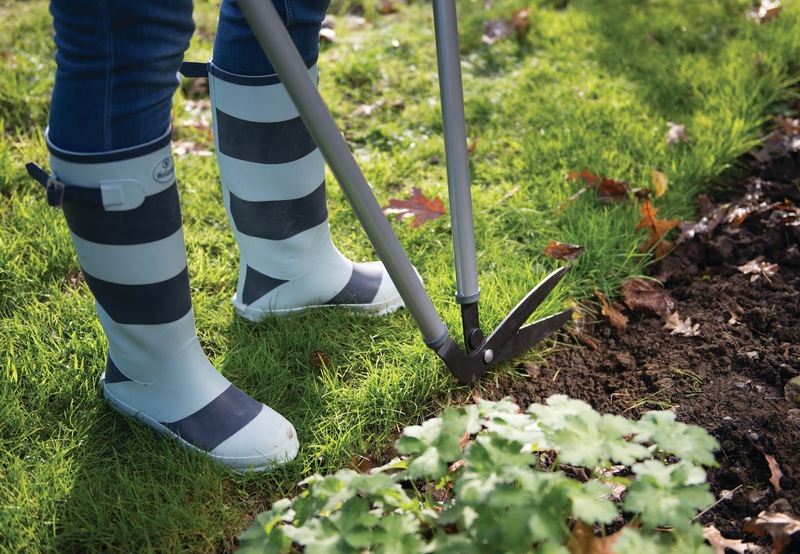 If the edges on your borders are overgrown and uneven, now is a good time to re-cut them as the ground will still be damp from the winter months. You can easily re-cut and neaten the edges using an edging iron. If your edges are still nice and neat from the last time they were cut, you can just trim the grass with a pair of edging shears! Top Tip: Always pick up the clippings to avoid attracting slugs and other garden pests. If you would like to see some early new potatoes, encourage seed potatoes to sprout by placing them on a warm window ledge indoors. Planting them deep into large pots against a warm south-facing wall will also encourage healthy growth. Remember to top the pot up with compost as they grow. Broad beans can be sown in the greenhouse or on the window sill. Once they reach around 6 inches (150mm) they are ready to plant outside. In well-prepared soil, plant them in rows roughly 12 inches (300mm) apart. Alternatively, they will do well planted in a grid with a support frame. This method of plantation improves pollination and will provide good support as they grow. You can protect the young plants with small split canes until they reach the support frame. Top Tip: When the plants start to show beans at about 2.5ft tall, nip out the tips to reduce the effect of aphids (plant lice).